We actually have this artifact in the collection. at the rear was the disk drive logic, and below the power supplies. These disk drives are not removeable, they are fixed. and it was cheaper, and faster, and just or even more reliable. so repressing improvements in computing hardware and software from competitors. by Microsoft in the PC market. and so left to setup his own company in competition with IBM. by selecting Amdahl rather than IBM. via the new Internet who used a PC as an interface. 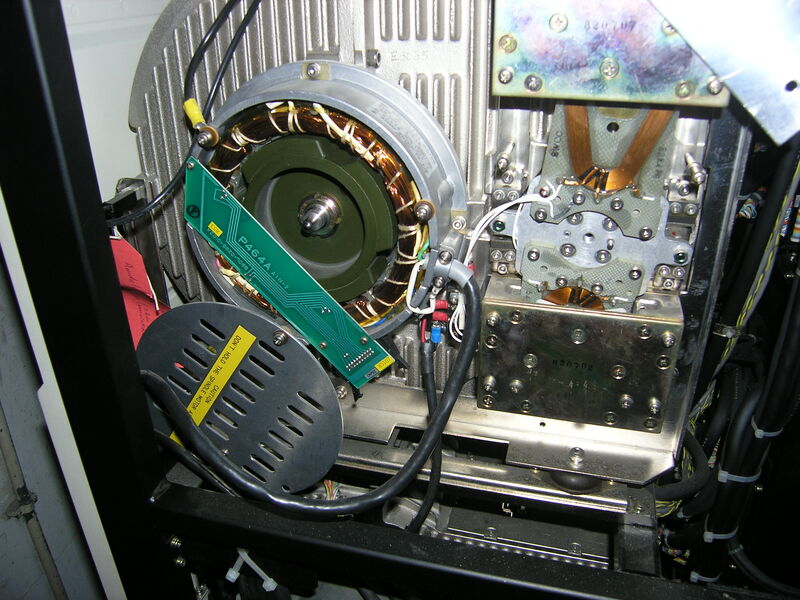 This is a view of the side of one of the disk drives. On the left is the windings of the synchronous motor and the magnetic armature. to control the movement of the read/write head assembly. has been the norm from 1985 right up to now (2005) and beyond. 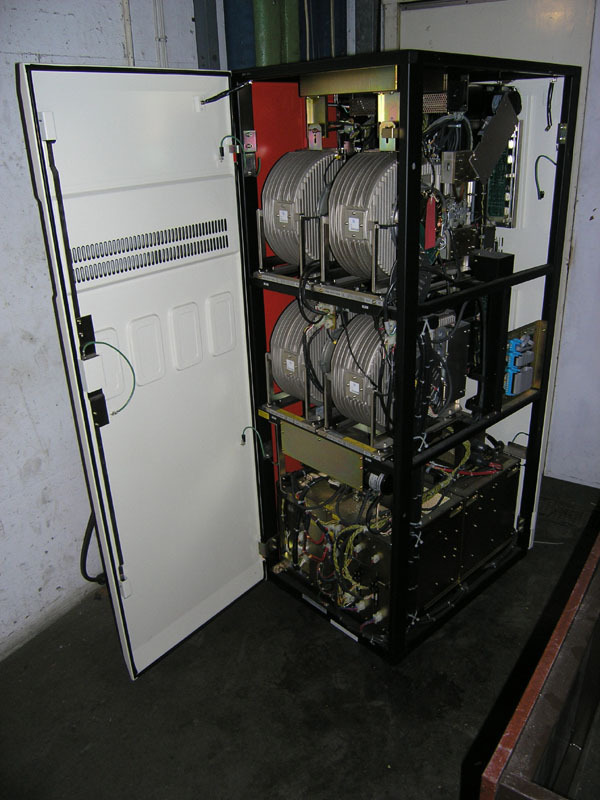 This is called a rotary voice coil actuator.